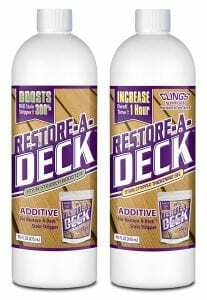 We would love to hear from you if you have used the Restore-A-Deck Stain Stripper with the Booster and/or Thickening Gel additives on your wood or deck. Please post a rating in the Consumer Star Ratings below. 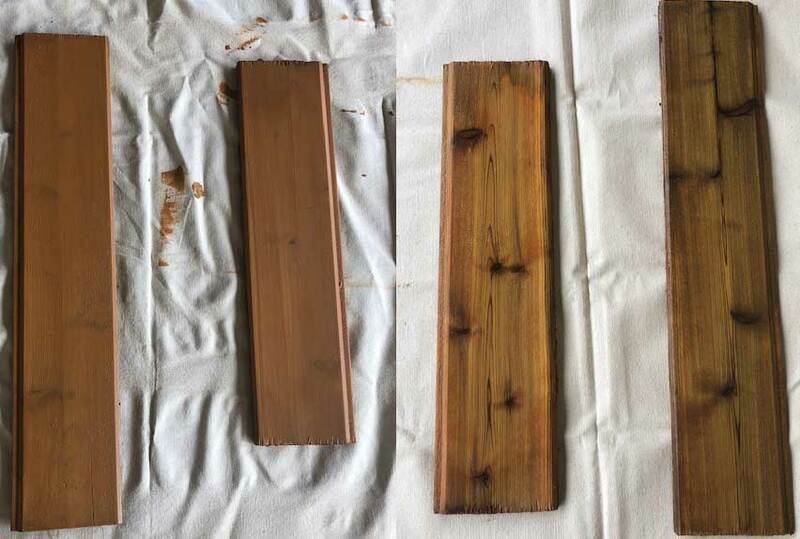 If you have any questions as to the effectiveness for your deck or wood stripping project, please ask below with the name of the stain brand and type being removed. Please add a couple of pictures as well. Note: These are 2 additives for the RAD Stain Stripper. They only work as additives for the Restore-A-Deck Stain stripper and will not work by themselves. This article is reviewing both of the additives when used together into the RAD Stripper. We tested this on two extremely hard to remove finishes. Behr Acrylic Based Semi-Transparent Wood Stain and a White Solid Color Deck Stain. Both of these coatings were applied 3 weeks before removal. Pictures of test boards below. The pictures below show the RAD Stain Stripper with Thickening Gel with the Booster Additive combined. The before picture is Behr Acrylic Stain. The middle is after 30 minutes leaning against a wall. Notice how the stripper did not run off the wood with the Thickening Gel Additive. The after picture shows the stripping results. – The RAD stripper will easily remove all oxidized graying, dirt, mildew, mold, and algae. -Restore-A-Deck Stain Stripper covers 500- 1000 sq. feet for the 2 pound, $34.99 a bottle. The RAD Booster and Thickening Gel Additives retail for $19.99 each. All mixed together this will make 5 liquid gallons for a total cost of $75. That equates to $15 per gallon. Very good price for an extremely effective product. 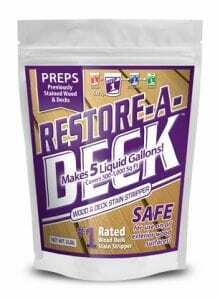 We would love to hear from you if you have used the Restore-A-Deck Stain Stripper on your wood or deck. Please post a rating in the Consumer Star Ratings below. 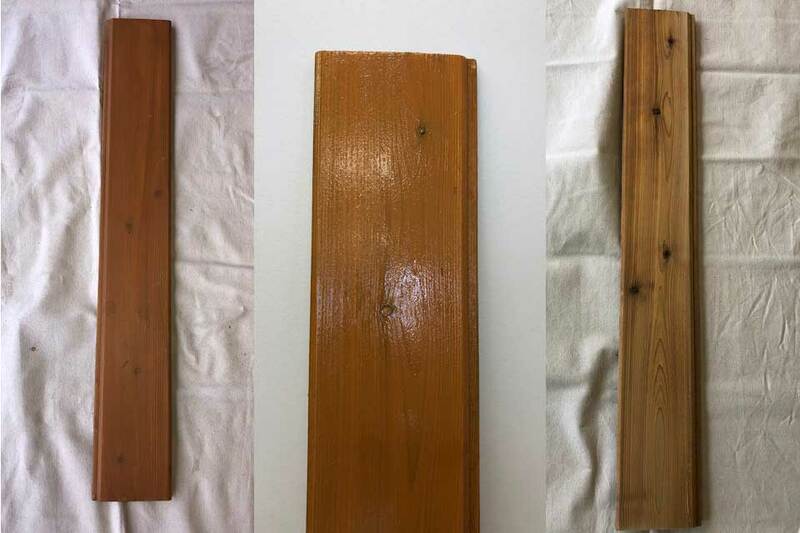 Consumer reviews below in the comment section have shown excellent results when using the Restore-A-Deck Stain Stripper. If you have any pictures of your experience with Restore-A-Deck Stain Stripper, you can add them in the comment area with a detailed description. The Restore A Deck system is a multistep deck cleaning system, and best results are achieved when using all 3 products. 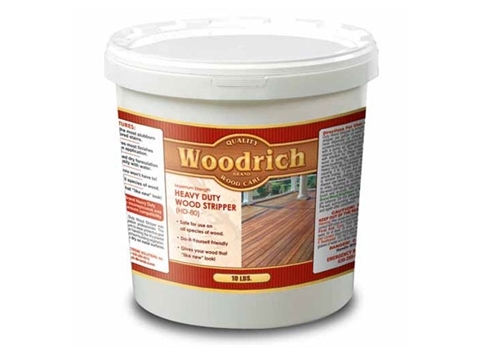 This product is Step 1 Stripper of the Restore A Deck system and can be substituted for or used after Restore-A-Deck Wood Cleaner. The Restore-A-Deck Deck Stain Stripper needs to be neutralized with a wood brightener. – The RAD stripper easily cut through the dirt. All mold was removed from the deck. -Restore-A-Deck Stain Stripper covers up to 1000 sq. feet for the 2 pound, $34.99 a bottle. The RAD stain stripper is a bargain to use for the cost! Less than $7 per gallon when mixed with water. Note: Defy Stain Stripper had a label change in 2019. We would love to hear from you if you have used the Defy Stain Stripper. Please post a rating in the Consumer Star Ratings below. If you have any pictures of your experience with the Defy Stain Stripper, you can add them in the comment area with a detailed description. Defy Exterior Wood and Deck Stripper is designed to remove transparent and semi-transparent exterior wood and decking stains. 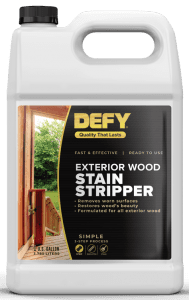 Defy Stripper is a biodegradable deck stain remover that restores the wood to a like new appearance that will work on both water-based and oil-based stains. – Defy Stain Stripper removes general dirt and graying with relative ease. The deep penetration of the stripper softens the dirt and grime so it can easily be rinsed from the wood. 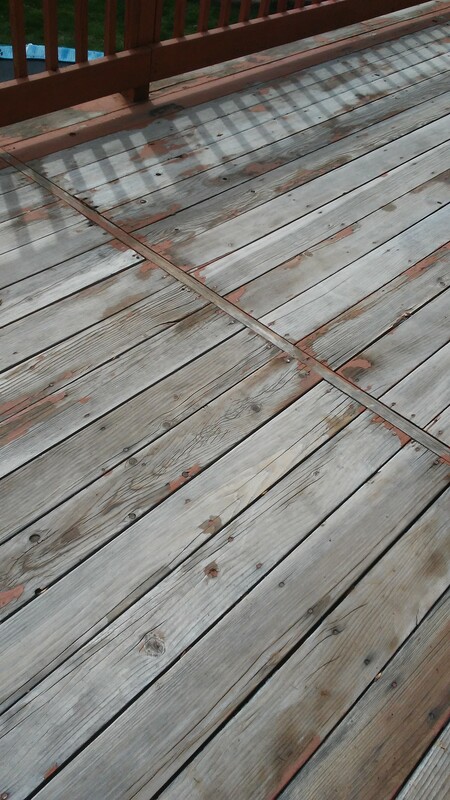 – We used 4 gallons of Defy Stain Stripper for the 600 square foot deck. The cost for the 4 gallons was $80, or $.13 per foot. This is average for a stain stripper. Better than most liquid gallons but much more than a powder concentrate. – HD80 as with most stains stripper scores exceptionally well when it comes to removal of dirt, grime, and mold. – Scores very well when it comes to cost-effectiveness. One container of stripper sells for $23.99 and makes 5 liquid gallons. This translates to about $5 per liquid gallon. Each gallon covers 150 square feet. How to remove deck stain properly from your wood before reapplying. No matter how well you protect your stained deck, you may eventually have to strip and restain the wood. If you choose to change the color or brand of stain on your deck, you will have to strip it before applying the new stain or sealer. A stripper makes it easier to remove the old stain by weakening the bond between the stain and wood particles. The old stain can then be easily removed by using a pressure washer or scrub brush. Note: See here if you need to remove a Difficult to Remove Deck or Wood Stain. We would love to hear from you if you have used Behr Premium Stain and Finisher Stripper. Please post a rating in the Consumer Star Ratings below. 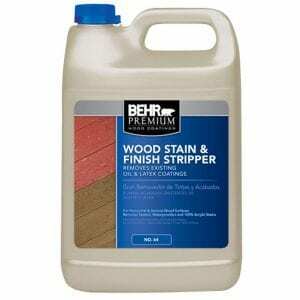 Behr Premium Stain and Finisher Stripper has continued to show moderate effectiveness when stripping deck stains. If you have any pictures of your experience with the Behr Premium Stain and Finisher Stripper Review you can add them in the comment area with a detailed description. Behr Premium Stain and Finisher Stripper is designed to remove exterior latex, oil-based and 100% Acrylic coatings on Wood Decks, Siding, Fences, Shakes, and Shingles. – Behr Stain Stripper removes general dirt and graying with relative ease. The deep penetration of the stripper softens the dirt and grime so it can easily be rinsed from the wood. – The cost to use the Behr Stripper was high in our opinion since it did not work to remove the wood stain from the deck.